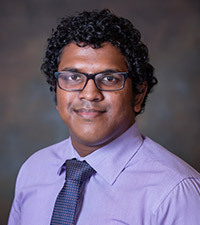 Kithmina Hewage is a Research Officer at the Institute of Policy Studies of Sri Lanka (IPS) and a member of the World Economic Forum’s Expert Network. He is also a visiting lecturer at the Bandaranaike Centre for International Studies (BCIS). His work is mainly based on international political economics, foreign direct investment, international trade policy, and private sector development. He completed his undergraduate degree at the Johns Hopkins University with departmental and university honours and graduated from University College London (UCL) with an MSc. in International Public Policy where he authored a thesis on the political-economy of foreign aid at the World Trade Organization (WTO). He has published articles in several international journals and other international outlets. “China’s Silk Route initiative has gained greater importance than initially expected due to shifts in the international economic order catalyzed by populist politics in the West.” – China’s Silk Route in a Changing Global Order. Economic Reforms in Sri Lanka: Salvation or a Recipe for Inaction? Sri Lanka Budget 2018: Will Clarity in Thought Translate to Clarity in Action? GSP – Plus: An Elixir or Just Palliation for Sri Lanka’s Export Woes? Has the US Turned Against Free Trade Agreements? Aftermath of UK Polls: Too Early in the Day to Tell?